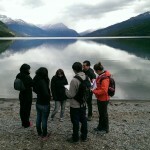 Students from Northern Arizona University (NAU) and the National University of Tierra del Fuego (UNTDF) are working together on a collaborative project with ecologists, anthropologists and social scientists to better understand the social perceptions and ecological realities of the protected areas of southern Patagonia. 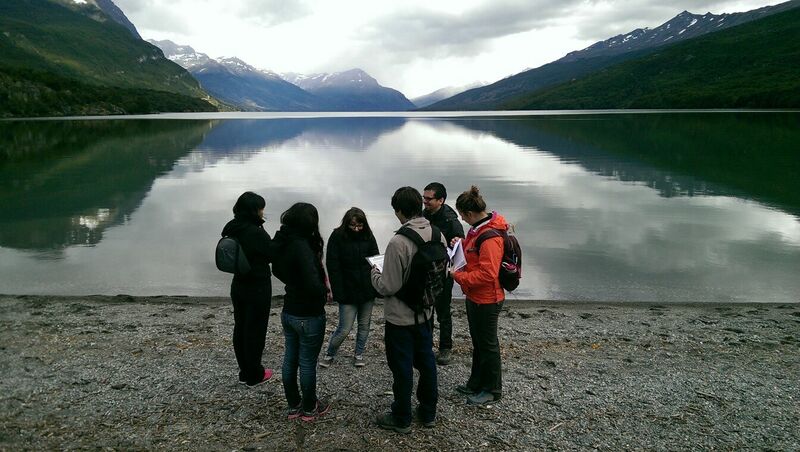 This project, financed with support from the U.S. National Science Foundation, the U.S.-Argentine Fulbright Commission, the Argentine National Parks Administration and UNTDF, is one of the initiatives coordinated by OSARA to develop new and dynamic relationships in the realm of conservation, socio-ecological research and sustainability science. The students involved seek to not only master skills in the lab and gain knowledge about local biodiversity, but also seek to be trained in local environmental and cultural sensibility. Specifically, the team involved in conducting a “social-ecological evaluation” of Tierra del Fuego National Park and its biodiversity seeks first to identify and compare ecological “realities” to human “perceptions”. The outcomes are expected to help illustrate a fundamental base of knowledge for scientists, decision-makers and locals. Such insights will then be used as a tool to optimize future efforts of ecological conservation, cultural preservation and overall recognition of well-being in respect to all inhabitants of the land and the land itself. The student team was led by Leah Manak and Alana Weber, both Environmental Science and Spanish students at NAU). They and students from Biology at UNTDF implemented a ten-question survey of which they then asked a sample of over 500 participants (local and non-local) covering topics like: overall perceptions and knowledge of the benefits provided by the national park, the threats to the national park, the presence and disturbances of native and exotic animal species on the island of Tierra del Fuego, and finally the ethics and methods of lethal trapping as a form of introduced-species management. Likewise, “I was struck by how many tourists come to see the majestic beauty at the end of the world. The ability to work with and interview so many people from around the world was incredible. I have learned so much from my experience not only in my studies but in cultural and social aspects as well. This is only the beginning of a long cultural and scientific future ahead of me; and being apart of PRESS is such an amazing way to start my journey. I am forever appreciative,” said Weber. The conclusions of this study will not only serve to enhance our understanding of the socio-ecological relationships in southern Patagonia, but also help prepare communication strategies for different stakeholder groups.